Proposed amendments to the Employment Act (“EA“) include the enhancement of the existing employment dispute resolution framework. This includes empowering the Employment Claims Tribunal (“ECT“) to adjudicate wrongful dismissal claims, in addition to salary-related disputes, with effect from 1 April 2019. Read with other tabled changes to the EA, the evolving scope of the ECT is outlined below, along with its powers and procedures. The ECT was established under the Employment Claims Act (“ECA“) that was passed on 16 August 2016. The ECT is a branch of the State Courts that provides employees and employers with an expeditious and low-cost forum to resolve specific types of employment-related disputes. The Employment (Amendment) Bill proposes amendments to the EA and consequential amendments to other legislation (“Proposed Amendments“), which include streamlining the existing dispute resolution framework to make the ECT the “one-stop service” for not just salary-related disputes, but also for wrongful dismissal claims. A high level review of some of the Proposed Amendments and their interplay with the proposed expanded scope of the ECT is provided below. Statutory salary-related claims by employees covered under the EA, the Retirement & Re-Employment Act and the Child Development Co-Savings Act. Examples of statutory salary-related claims include unpaid salaries, overtime pay, unauthorised salary deductions, sick leave salary, reimbursement of medical consultation fees, salary in lieu of notice /annual leave, maternity benefits, etc. Contractual salary-related claims by all employees, except domestic workers, public servants and seafarers. Such claims arise from alleged breaches of provisions of the employment contract between the parties in relation to, for e.g., payment of allowances, bonuses/ annual wage supplements, commissions, reimbursement of expenses, salary-in-lieu of notice and retrenchment benefits. Claims for salary in lieu of notice of termination by employers. This is a significantly narrower ground than claims brought by employees. Companies and employees should take note of the implication of the Proposed Amendments on salary-related claims. The most significant Proposed Amendment is the removal of the salary cap of S$4,500 a month for Professionals, Managers and Executives (“PMEs“). This means that almost all employees (save for public servants, seafarers and domestic workers) will be entitled to basic statutory benefits under the Act, which include minimum days of annual leave, hospitalisation leave and reimbursement of medical fees. In general, deductions from salary may not be made unless expressly provided for under Section 27 of the EA. Under the Proposed Amendments, employers will be required to obtain their employees’ written consent before making any deductions from their salary in relation to certain services such as accommodation or services/amenities. Such consent may be withdrawn by the employee giving written notice to the employer and an employee cannot be penalised for such withdrawal. The role of ECT will be expanded from currently hearing only salary-related disputes to cover wrongful dismissal claims from 1 April 2019. At present, employees who believes they have been dismissed without just cause or excuse may make representations in writing to the Ministry of Manpower (“MOM“). With the Proposed Amendments, such wrongful dismissal claims will be brought to the ECT. The Proposed Amendments contain a revised definition of what constitutes dismissal, which would include, in addition to the termination of a contract of service at the initiative of an employer (with or without notice and for cause or otherwise), the forced resignation of an employee if the employee can show, on a balance of probabilities, that the employee didn’t resign voluntarily but was forced to do so by conduct or omissions by the employer. Another notable change is that managers or executives (“M&E“) can claim for wrongful dismissal if they have served that employer for at least 6 months. This reduction of the qualifying period from 12 to 6 months still affords employers a qualifying period to assess the M&Es, without being unduly oppressive to M&Es. In conjunction with streamlining the employment dispute resolution framework, the MOM will be publishing a new set of Tripartite Guidelines on Wrongful Dismissal to illustrate what constitutes wrongful dismissal. Under the ECA, the ECT and the High Court (in deciding an appeal against the ECT’s order in an unfair dismissal claim), must take into account the principles encapsulated in Tripartite Guidelines when deciding any wrongful dismissal claim. Companies should ensure that they have due regard for these upcoming Tripartite Guidelines and FAQs once they are issued. What are the claim limits at the ECT? The ECT can only hear claims not exceeding S$20,000. However, for employees who go through the Tripartite Mediation Framework or mediation assisted by their unions recognised under the Industrial Relations Act, the claim limit is S$30,000. Note that if a party’s claim exceeds the monetary limit, but the party still wishes for the ECT to hear the claim, the excess amount of the claim can be abandoned. How to file a claim at the ECT? To bring a claim before the ECT, parties must first register their claims at the Tripartite Alliance for Dispute Management (“TADM“) for compulsory mediation. Only disputes which remain unsolved after mediation may be referred to the ECT. Claims which are successfully mediated at the TADM may result in a signed settlement between parties, which may be registered at the District Court within 4 weeks thereafter. Such registered settlement agreement would be enforceable as a Court Order. Where mediation is unsuccessful, a claim referral certificate is issued and parties are to file a claim at the ECT within 4 weeks thereafter. Lawyers are not allowed to participate in the ECT process, but are often engaged to guide parties behind the scenes. When a claim should be filed generally depends on the status of the employment relationship at the point the salary-related dispute arose. If the employment relationship is ongoing, the claim must be submitted within 1 year from the date of dispute. If the employment relationship has ended (not being a re-employment or wrongful dismissal dispute), the claim must be submitted within 6 months of the last day of employment. In any event, parties should submit a mediation request to TADM as soon as possible after the claim arises. Under the Proposed Amendments, for a wrongful dismissal dispute under section 14(2) of the EA, the claim must be filed not later than 1 month after the date of dismissal of the employee. For any wrongful dismissal dispute under section 84(2) of the EA (under the section on maternity protection and benefits), the claim must be filed within 2 months after the date of the employee’s confinement. For workmen seeking to recover salary from a principal, contractor or subcontractor under section 65 of the Employment Act, the mediation request to the TADM should be submitted within 60 days of the date on which the salary was due for payment, with extension at the Commissioner’s discretion. What types of Orders can the ECT make? One party to pay back all costs to the other party. In relation to wrongful dismissal claims, the ECT will have the power to order compensation (as above) and/or reinstatement of the employee in his former employment. In determining the quantum of compensation, the ECT will take into account factors beyond just wages or maternity benefits owed to the employee. The ECT may also order parties to go for mediation again at any stage of the proceedings. How can ECT Orders be enforced? Garnishee Proceedings (where a third-party who owes money to the employer is legally compelled to pass that money to you such that you recover your claim amount). The expanded scope of the ECT, combined with the Proposed Amendment of the EA to cover almost all employees in Singapore (including PMEs earning more than S$4,500), would make the ECT a simplified and accessible “one-stop” forum to bring simple salary-related and wrongful dismissal claims. The emphasis on enhancing employees’ access to justice makes it imperative for companies to take a considered approach towards managing disputes, and to familiarise themselves with the Tripartite Guidelines when they are issued to avoid contravening them. In particular, employees and employers should keenly watch this space to understand their respective rights in dismissal or forced resignation scenarios. Have a question about employment claims? 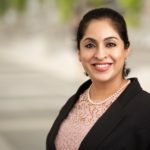 If you have any questions, you can request a quote with Amarjit Kaur or get a Quick Consult with other lawyers from a transparent, flat fee from S$49. You can expect a call back within 1-2 days on the phone to get legal advice and have your questions answered. This article is written by Amarjit Kaur from Withers KhattarWong and edited by Chee Seng Tang of Asia Law Network. Amarjit joined Withers KhattarWong in Singapore as a dispute resolution partner from a US-based international law firm, where she developed and headed its employment and global mobility practice. She is a commercial disputes lawyer who has acted in high-value and complex litigation and international arbitration matters. She has represented Fortune 500 companies and ultra high net worth individuals in shareholder, corporate insolvency, employment, and large scale professional negligence / construction disputes. She has guided executives and companies through complex employment issues arising out of investigations, reduction in force exercises, business transfers and M&As. Amarjit is a frontrunner in training and performing cultural assessments on #MeToo and diversity issues. In 2017, she was recognized by the Singapore Business Review as one of Singapore’s most influential lawyers aged 40 and under. Amarjit sits on the Project Law Help Committee under the auspices of the Law Society’s pro bono services and is a strong proponent of pro bono work.